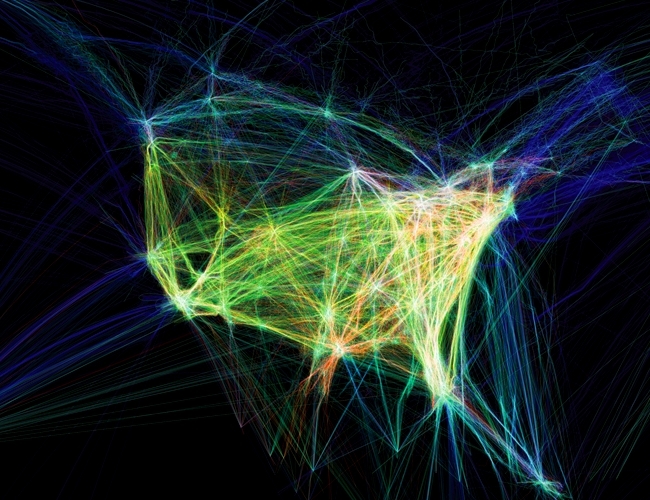 Recently, the Processing community has announced the release of the version 2.0, since its debut in 2001. 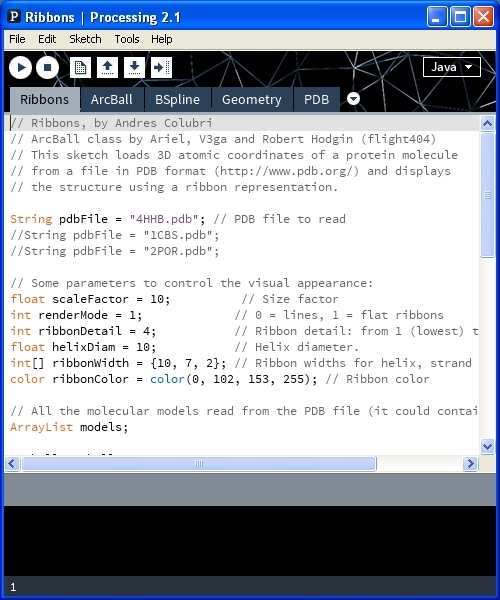 The Processing IDE (integrated development environment) is free and open source, and runs on the Mac, Windows, and GNU/Linux platforms. Processing is also a programming language built for electronic artists or designer which consider programming as an essential part of their creative practice. Processing is actually built on the Java Programming language, so we could give a better definition of Processing as a programming environment. In fact, Processing allows you to write much simpler code than you would need to write if you were working with any other programming languages such as Java, C++, Python, etc. Processing uses a simplified syntax especially adapted for non-programmers who want instead to easily see a visual feedback on what they are going. Additionally, Processing is not limited to drawing shapes, however complex, but also allows you to manipulate images, video and sound (creating movies) adding further interactive content. I strongly recommend to visit Processing Wiki. You will find there tutorials, reference material, code samples, interviews and more. Particularly interesting is the “Compare” section in which Procesing is compared to other programming languages exposing its unique and similar qualities. 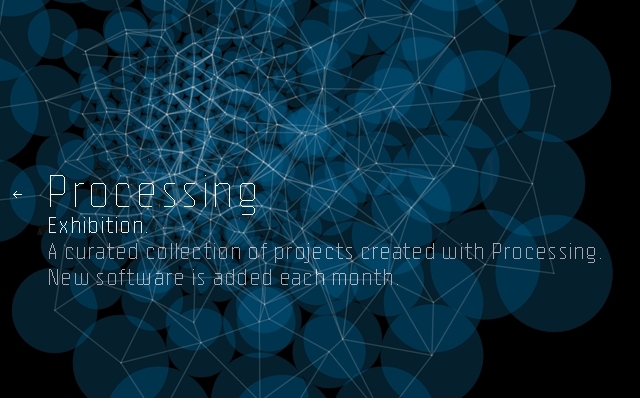 In the Processing Exhibition you can browse fascinated by the huge collection of project developed with Processing. 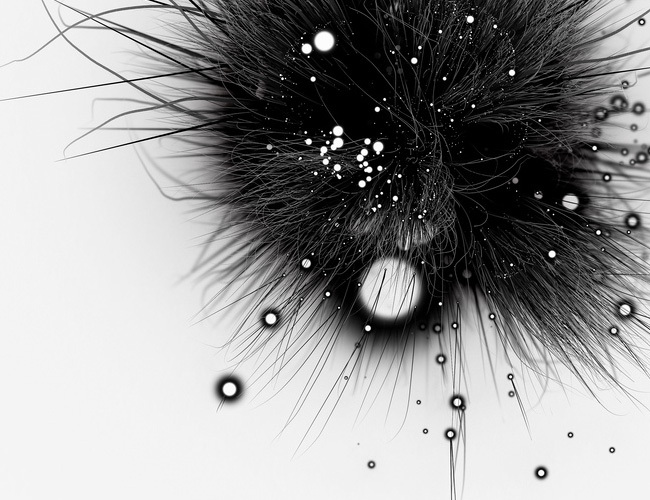 Here is a list of artistic works made with Processing available on Web.